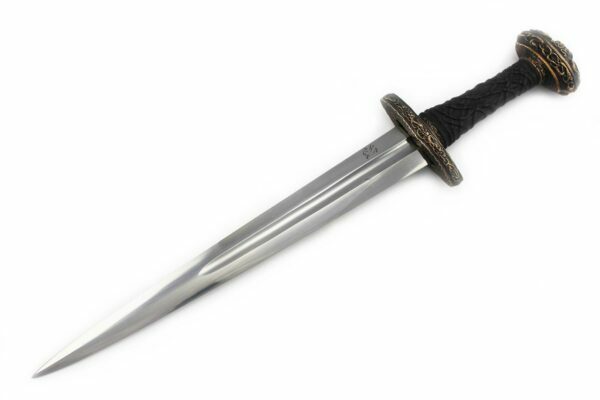 This “fishtail” Gothic Dagger was very popular in Germany during the mid to late 15th century. 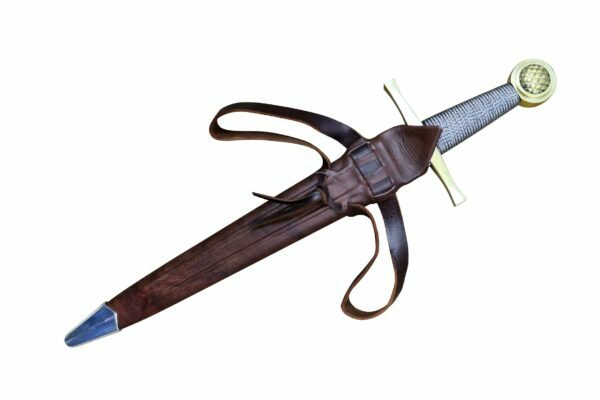 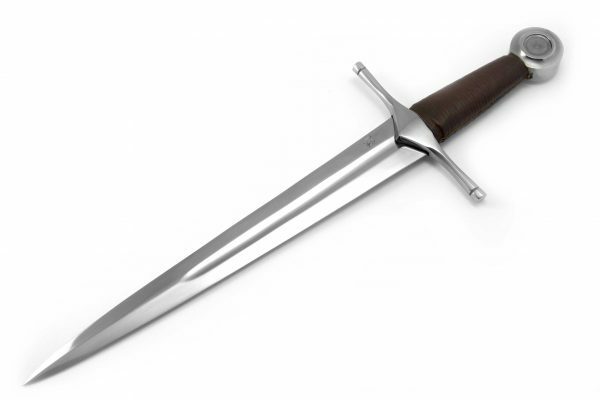 As the Middle Ages progressed, this versatile dagger continued to evolve according to the battlefield requirements of the day. 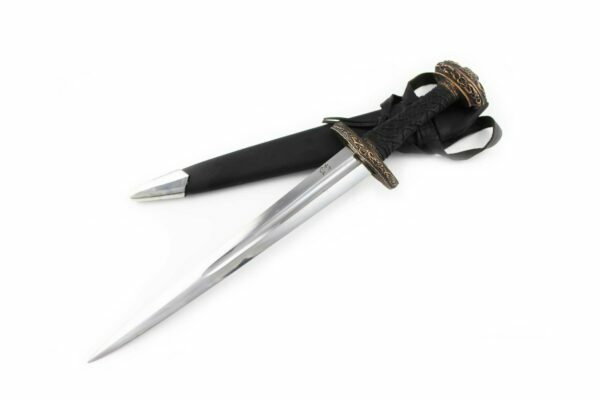 This “fishtail” Gothic Dagger was very popular in Germany during the mid to late 15th century. 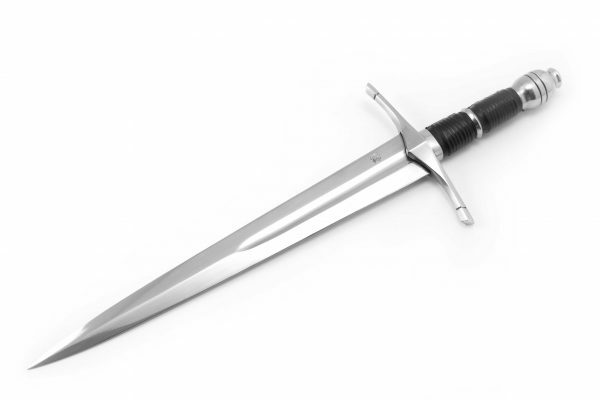 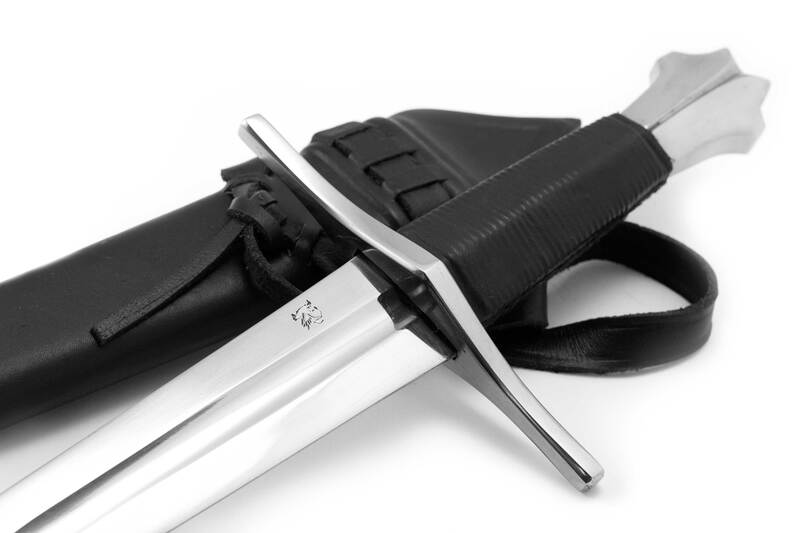 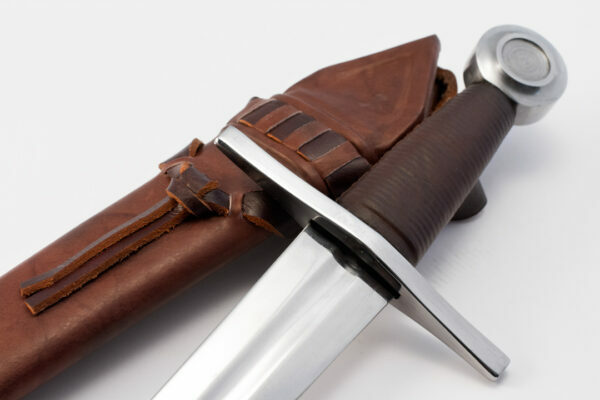 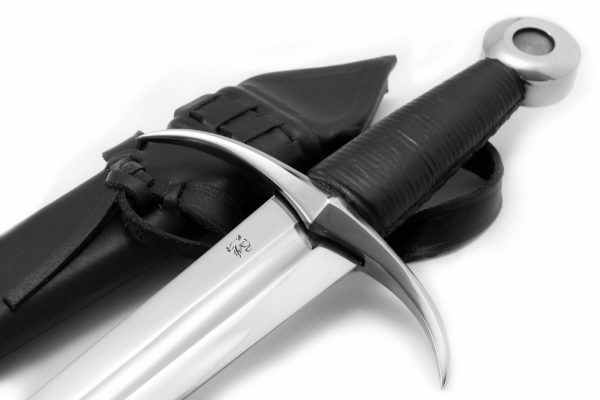 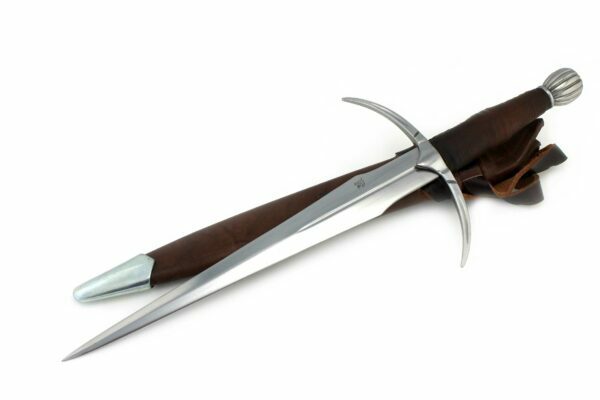 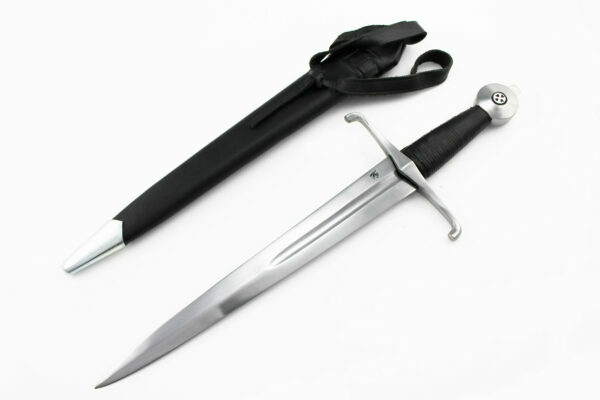 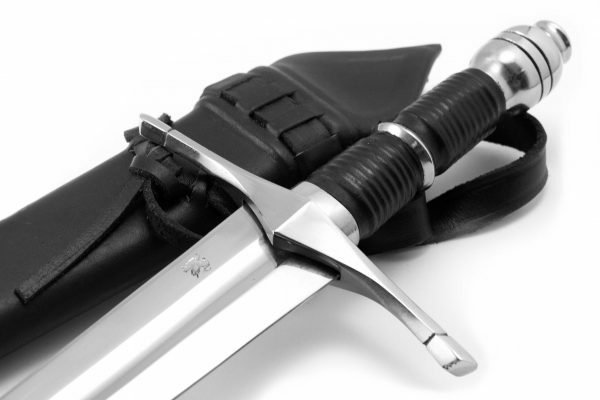 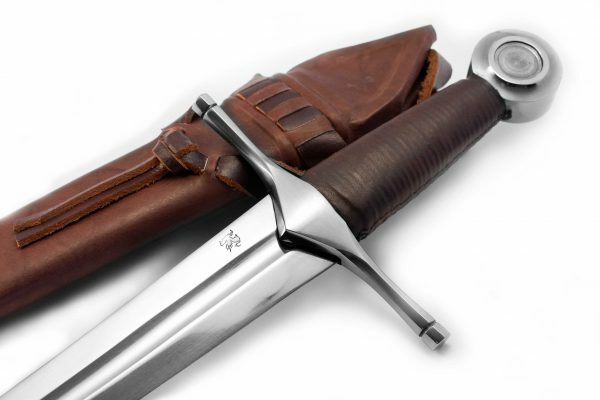 As the Middle Ages progressed, this versatile dagger continued to evolve according to the battlefield requirements of the day and became an essential part of the medieval Knight’s arsenal. As its companion sword, shown in the third page of the sword gallery, the Gothic dagger illuminates the artistic creativity of the time, resulting from the Gothic artistic revolution in the arts. 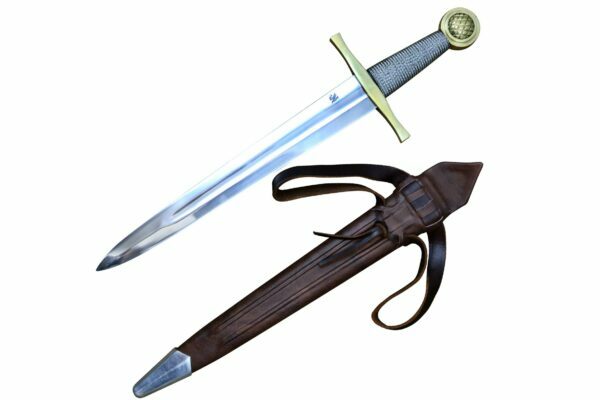 The clear crisp blade and details hexagonal quillions and crisp fishtail pommel attest to this artistic revival. 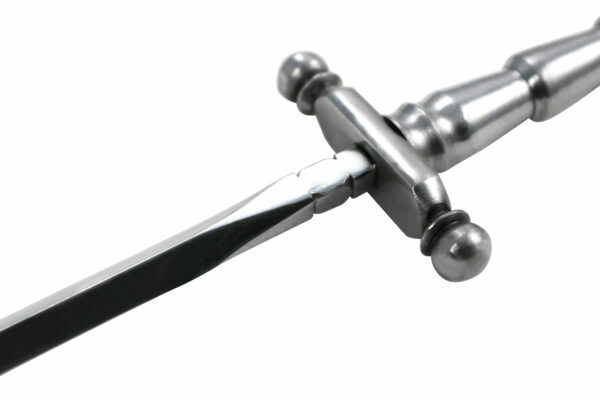 Swords and dagger of the 15th C. were not only exceptionally engineered, but also showed clear artistic patterns and influences from the gothic architectural structures of the time. 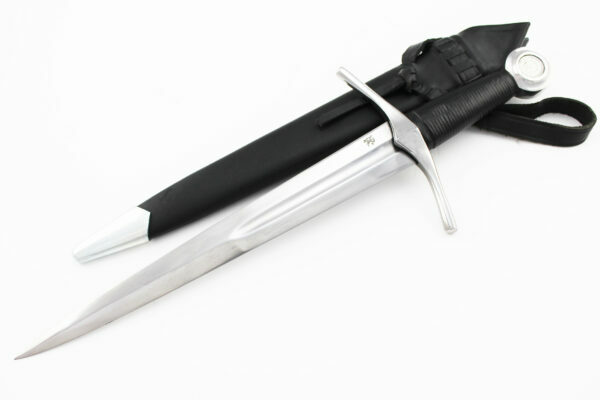 Finally got my dagger, and for the most part it is excellent. 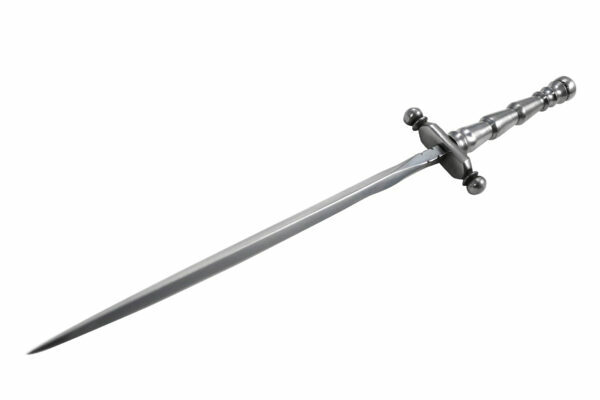 The fittings are tight and solid, the weight and balance feel good, and everything finished beautifully. 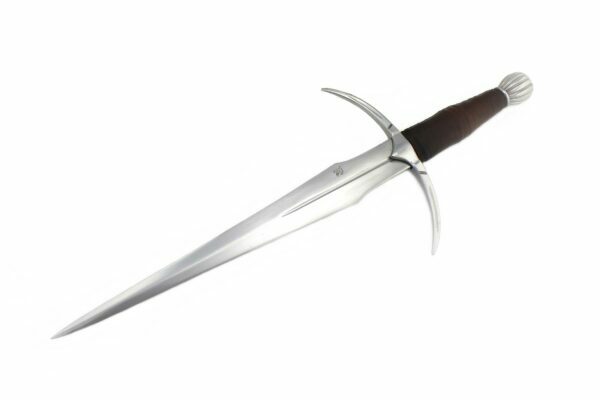 Unfortunately the sharpening was very poorly done, which is disappointing given the apparent craftsmanship of the piece. My recommendation to the consumer is to save yourself the couple bucks and buy the unsharpened version as you will have to put an edge on it either way.